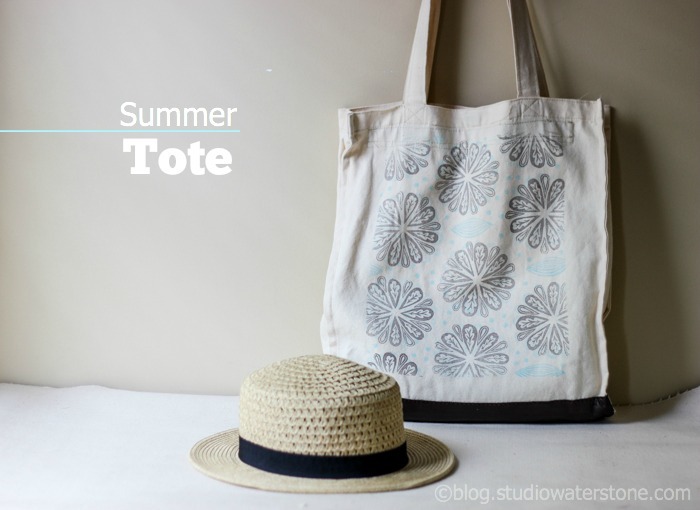 Did I share with you my summer tote? No? Well here tis. 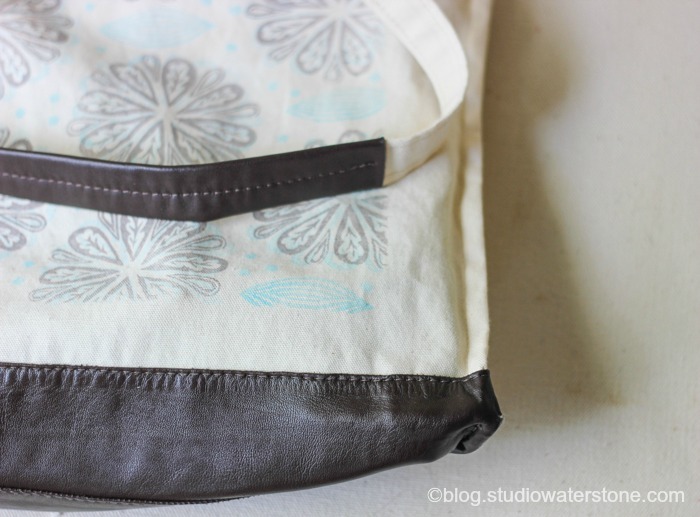 My warm weather compadre in all it's summer tote-ish glory. It was made using carved stamps, canvas (see here for details), a little recycled leather and a homemade pattern which I adore. I think it'll morph into a fall/winter tote come September. Yep, pretty sure that will happen. On one side I have a hanging zippered pocket and on the other three patch pockets - two large and one small for my pen. It also has a hanging strap with a hook for my keys and a magnetic snap in the center. Recycled leather covers the bottom and the straps - where dirt can accumulate. I gave it a side panel for bulk when I want to toss in a couple of magazines. I've found that although this handmade pattern is simple, time spent on detail does not make this tote a candidate for my bag shop. So here's my thought...and question. 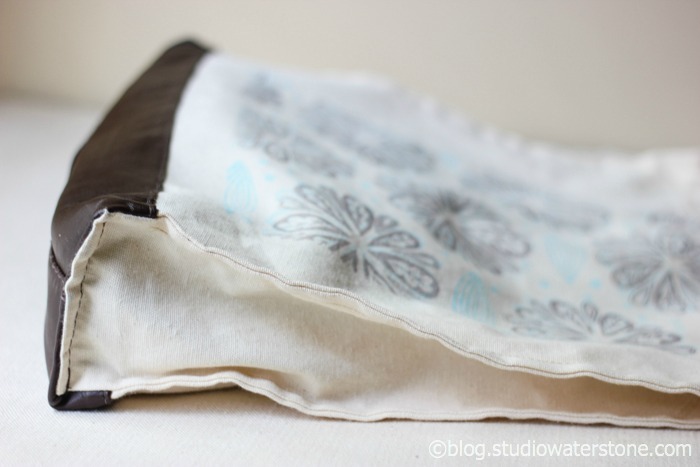 Offering a downloadable pattern so that you can make your own is a definite possibility. 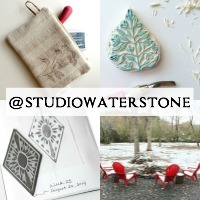 For those who sew, I'd love your thoughts. Is this something you'd consider? I've purchased downloadable patterns before for personal use and loved the convenience and originality. How about you? Thanks! Hi, Lori -- love this bag. I'm sure the download would be a big hit if you decide to do that. 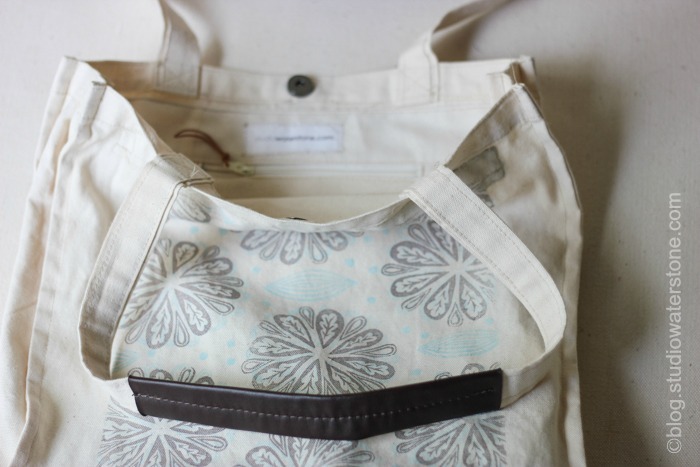 Lori, the tote is just beautiful, and I think a downloadable pattern would be great!